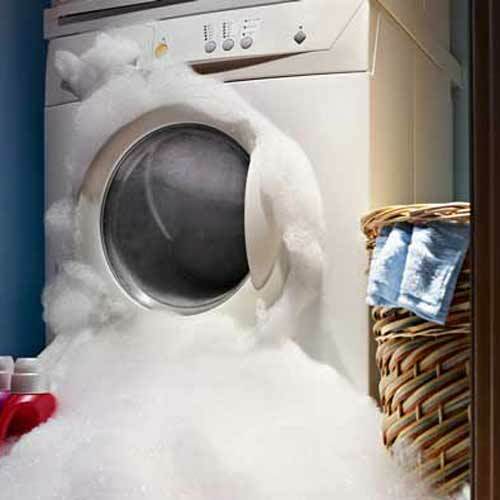 If your home has water damage it’s important to get it repaired quickly so the water damage doesn’t spread. Call or contact Carolina Water Damage Restoration for a free consultation on your residential water damage repair project today. 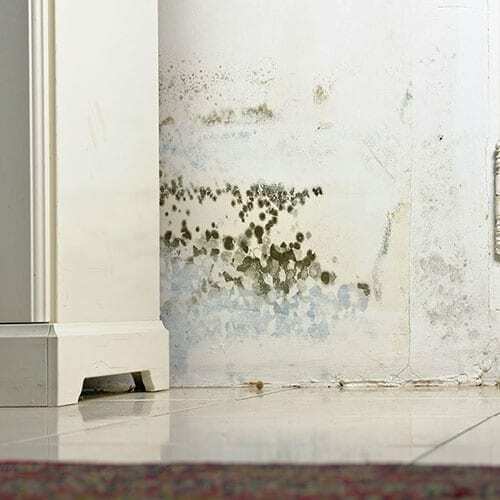 If you have toxic mold or are in need of mold removal or inspections, Carolina Water Damage will provide a free initial phone assessment to figure out the best way to rid your home or business of any and all mold issues you may have. In Cary NC, Raleigh NC and nearby areas, thousands of homes and businesses are damaged by storms and floods on a yearly basis. In fact, the most damage ever caused by a Hurricane, in the Raleigh NC area, was caused by water, not wind. 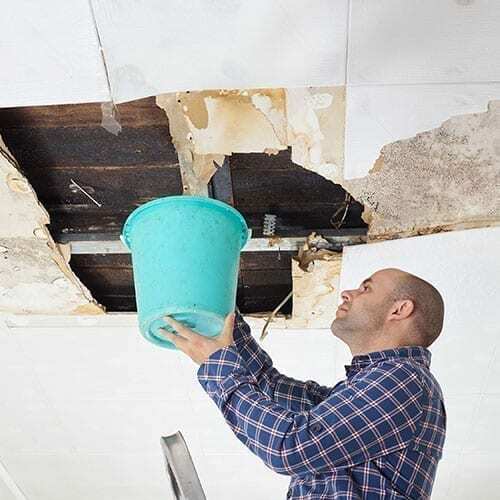 Of course, natural disasters aren’t the only cause of water damage to your home or business, but making sure that the water damage is repaired properly can save you time and money in the long run. You can trust Carolina Water Damage Restoration to take care of all your water damage repair, cleanup, and restoration, crawlspace repair, ceiling leak repair, and other emergency repairs. As a water damage restoration services provider company at Cary NC and Raleigh NC, we do more than just repair water damage and crawl space repair that may have been caused from broken plumbing, sewage backup, basement flooding or storm damage, a broken water heater, or any other source. We start with an inspection to make sure that we know the full extent of the water damage and that the source of the damage has been stopped. If you’ve had water damage issues and they haven’t been cleaned up properly, they may lead to more issues, including toxic mold. If that’s the case, you might have use for our mold remediation, mold restoration and toxic mold removal services. We inspect your toxic mold and after inspection we can repair your toxic mold with latest technology. This Toxic mold repair service provided by us will serve its purpose safely. Our experts will evaluate your crawl space, give you the explanation of what is happening, with an affordable solution. Whatever the case, we are going to do a full inspection to make sure that your home or business is taken care of. Why Choose Carolina Water Damage Restoration If You Live In The Triangle Area of NC? We serve many areas in the Triangle. If you live in Raleigh, Apex, Cary, Chapel Hill, Clayton, Durham, Fuquay-Varina, Garner, Holly Springs, Knightdale, Lillington, Morrisville, Wake Forest, Wendell, Zebulon, or surrounding areas in North Carolina, contact Carolina Water Damage Restoration. 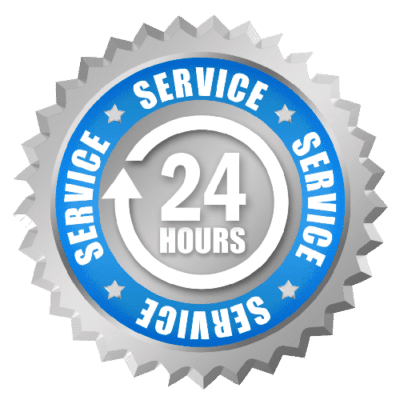 We also understand that there are many different choices for your repairing and restoring water damage, mold remediation, sewage backup, storm damage repair & flood damage restoration. We want you to know that we can work with almost any company that you use for your homeowner’s insurance. We want to earn your business and we understand that by doing right by our clients we can build a lasting relationship. While we hate the idea of a storm, or other unforeseen circumstance, creating repeat business, we want you to know that you’ll always be in good hands with Carolina Water Damage Restoration, no matter what the emergency and what time of day it happens. If you are experiencing a water damage emergency like water damage restoration, water damage repair, water damage cleanup, toxic mold removal, mold remediation, mold restoration, storm damage repair, flood damage restoration or require home inspection services. I called Jake at 7:00 am and he and his team were here within an hour! I had a major leak from my ice maker while away for the weekend and my carpets were soaking wet. They did an amazing job extracting the water and drying everything and saving my carpets. Their fast response time and reasonable prices make this company outstanding and I highly recommend them! Jake and his team were great! Jake came out quickly to give us an consultation and was very responsive to our needs. He kept us updated on his work and finished in a timely manner. We hope to never have water damage again, but if we do we will certainly call Jake. Jake and his team were knowledgable, responsive, open to multiple options to safely restore the damage, and the final result was structurally sound and aesthetically pleasing. Not looking forward to future water damage, but certainly no question that I'll call Jake if it happens! Jake came by my house this morning to try to find out where/how water was seeping under my living room hardwood floor in two corners. I spent some time looking at it and couldn't figure it out.He spent an hour looking/digging around the area until he finally solved the mystery-- water was coming through a couple tiny holes in the bottom of the exterior door casing. We confirmed it by pouring water on those spots and watched as it dripped inside. Crazy.Very friendly, thorough service and an incredibly reasonable price. Thanks, Jake! I will definitely call you again if I ever have water damage issues in the future, and will recommend you to friends.Oh, and he fit me into his schedule the day after I called him. I greatly appreciated that. I couldn't be happier with the work Jake and his team completed on my flooded basement. The quality of work and attention to detail was impressive. It was also very easy to reach Jake with any questions or concerns, and he was prompt in his replies. I would absolutely hire Carolina Water Damage Restoration again. Jake and his guys were amazing in helping us get through flooding from Hurricane Florence. They were quick to get to the house and began drying out our soaked crawlspace immediately. They came back every day (often twice a day) to monitor and adjust the fans and dehumidifiers to maximize the drying of the crawlspace and floor joists. They explained everything they were doing along the way and also were very helpful in coordinating efforts with the insurance adjuster. They were more than fair on the costs and I'd recommend them without hesitation. Jake did an excellent job on my home after a water pipe leak led to mold inside our kitchen wall. He was transparent and well organized, and paid attention to details. It was a such a good experience that I had him do mold remediation on one of my rental properties as well and will call him if I need work in the future! Highly recommend. Jake (and his team) are awesome to work with. They were quick to respond initially and provided a fair and reasonable quote. They were able to fit us into their schedule promptly and get the work done very quickly. Our mold issue ended up being smaller than first thought so the final invoice reflected the actual work required and was less than first quoted. Jake was very responsive to calls and emails answering questions throughout the process. All in all, I had a very good experience with Jake and Carolina Water Damage Restoration. Jake is wonderful to work with! He responds to texts immediately, supervises his crew well, and they do excellent work! He helped get my entire kitchen redone and it turned out beautifully! Great company. Unbelievable devotion and dedication to the customer and the “little people”. I can’t say enough good things about Jake and the employees at Carolina water damage. I have the privilege to work beside them day in and day out through plumbing. I will always recommend this company in my customers time of need! The people at Carolina Water Damage did an excellent job in taking care of a mold issue that we had. Jake was awesome to work with and the crew that came out were friendly and efficient in their work. It was a please to work with this local company and i would definitely recommend them for what they are known for. Jake was very through. Him and his team was fantastic. Did the work under the time estimated. And accommodated to my every request. Even had me back in my home while they worked around me. I would use them again!! Thanks a lot Jake!! 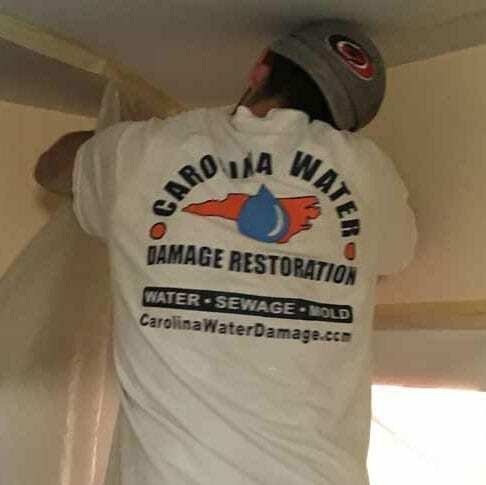 Carolina Water Damage Restoration is a small business consisting of four primary employees and access to talented subcontractors. 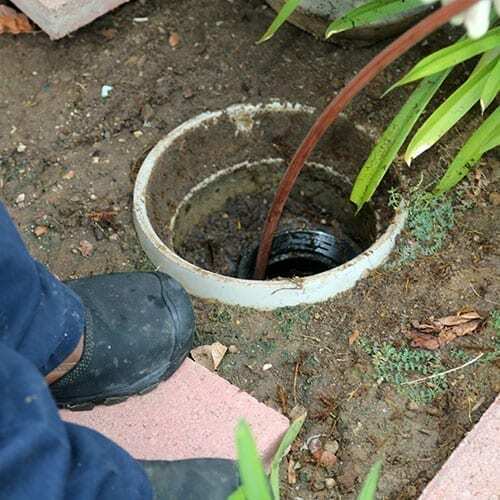 In our water leak crisis, they provided a turnkey solution to quickly minimize the damage, provided remediation and coordinated repairs. What sets them apart and has made them my new go-to provider is their expertise, responsiveness and style. They work hard. They work quickly. They understand the breadth of construction and they understand the business side of what is needed to share with an insurance claim. Every step along the way was documented with photos and their estimates were detailed, fair and matched their invoices. I made a cold call to them when I discovered water leaking from the first floor ceiling from an interior CPVC second floor water line crack. They had a plumber on site in 45 minutes, had the leak stopped immediately and the initial repair complete within 2 hours. By the end of the day, flooring was lifted, sheet rock removed and fans and humidifiers in place to address wet wood in 5 rooms. Once dried, we had tile repaired, drywall replaced, flooring replaced, carpet repaired and cleaned, carpentry work done and walls repainted. In short, they solved my crisis and the quality of the solution was excellent. As fine as their work was, their style was even more impressive. They are dedicated, detail oriented, flexible and a pleasure to work with. Derrick, Jacob, Jordan and Jake work hard, are talented, have great attitudes and are personable. They are skilled. They are fair. They care. And they will be my first call when I next need help. Get A Free Consultation for Your Restoration Needs! © Copyright Carolina Water Damage | Serving Cary, Apex, Holly Springs, Garner, and Raleigh NC with water damage restoration & repair services. We can work with your insurance company.